The Roosevelt Island F Train subway station MetroCard vending machines have been broken and not accepting credit card transactions since at least last Saturday. @NYCTSubway Roosevelt Island subway station metro card machines broken. Not accepting credit cards for several days. When will it be fixed. Have not received answer back from the MTA yet. Let's see how swiftly the MetroCard vending machines are fixed and accept credit card transactions again. 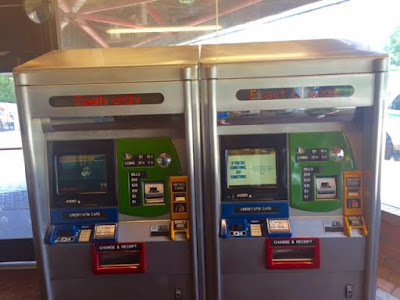 UPDATE 8/11 - The Roosevelt Island F Train Subway Station MetroCard vending machines were accepting credit card transactions today.